Season the steaks on both sides with the Hartz Black Bayou Blend. Grill the steak turning once on the same side to get the checkerboard pattern. Flip the steak over and turn it once to get the checkerboard pattern on that side. 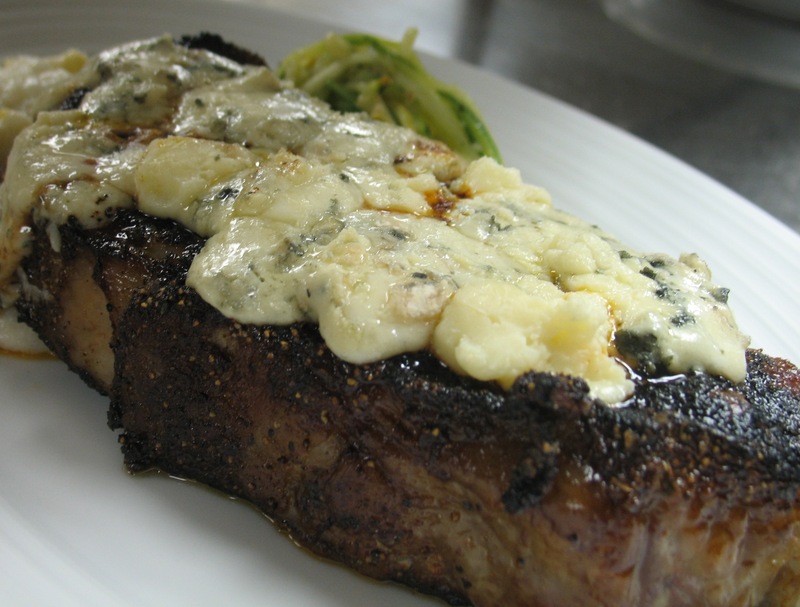 from your desired temperature add the Gorgonzola cheese. Place the lid on the grill to help it melt the cheese. Check the temperature again. Remove from the grill when it reaches the desired temperature. Set on a plate and tent with aluminum foil for about two minutes.